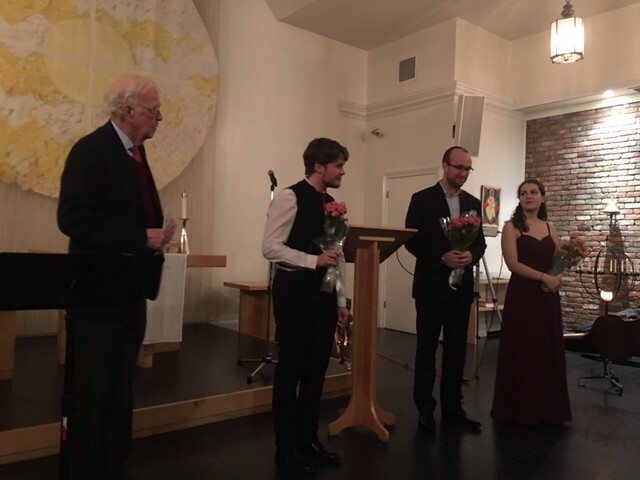 The American Scandinavian Society is delighted to present the Cultural Grant Recipients in honor of Harriet Nilsen at the annual winter concert. Performing this year are Finnish tenor Demetrios Jussi Tsinopoulos with pianist Tor Morten Kjøsnes, Icelandic violinist Rannveig Marta Sarc, and Swedish flugelhorn and trumpet player Oskar Stenmark. Pay online below, or click here to order tickets by mail.